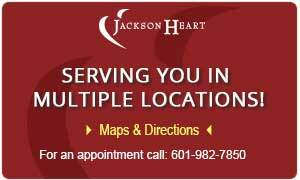 Top Cardiologists Jackson MS - Jackson Heart Clinic | Cardiology, Heart and Vascu..
numerous specialties, over 14 providers. Your heart is our specialty. Obtain you token number, which is provided by our clinic. Register through the link on the email with your token number. Enjoy the convenience of interacting through the portal! And more ... within just a few minutes! These are some of the ways the Jackson Heart Clinic has been described. As one of the largest cardiology groups in the state of Mississippi, our board-certified cardiologists cover all realms of specialties. For more than 40 years, we have been providing state-of-the-art cardiovascular care to our patients with the utmost integrity and compassion without regard to social or cultural status. We offer many Services for our patients, including Cardiac Catheterization, Electrophysiology, Transcatheter Aortic Valve Replacement (TAVR), Cardiac Ultrasound Imaging, Computed Tomography Angiography (CTA), Doppler Studies, Electrocardiograms (ECG), Exercise Stress Testing, Nuclear Cardiac Imaging, Outpatient Telemetry Monitoring and more. We created the Patient Guide section to help you find instructions for new patients, instructions on how to get your prescription, patient forms & instructions for diagnostic procedures, frequently asked questions and more. In our Vein Clinic, we not only treat varicose veins but we also educate patients on a potentially serious form of vein (venous) disease that can lead to pain, ankle swelling, fatigue of the legs, skin damage and ulcers. Knowing how to better care for your heart and recognize symptoms that could indicate problems with your cardiovascular system can help you improve the quality and length of your life. Be sure to check out Patient Education section for more information. The Jackson Heart Clinic accepts referrals for patients in need of specialized cardiology services. We work as a team to treat the cardiovascular needs of our patients and our cardiologists work together to assure the highest quality of patient care and safety. If you are a physician wishing to refer a patient to the Jackson Heart Clinic, please see our Referring Physicians section for more information. 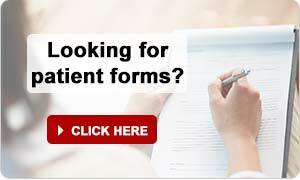 We offer opportunities for patients to participate in Clinical Trials related to cardiology. These clinical trials help the medical community to discover new ways to prevent, detect and treat disease. If you would like more information about participating in a clinical trial, see our Research section. The Jackson Heart Foundation is a 501(c)3 non-profit organization founded in August 2009 and is aimed at promoting and safeguarding the cardiovascular health of our community by empowering people through education and encouraging healthy lifestyles for our families. It is this level of dedication that the Jackson Heart Clinic brings not only to the greater Jackson area but also to the rural towns of central Mississippi.